Part Number:UH2 72WA401. GenuineAudi / VW Part. Good Working Order. Condition:Used and Good Working Order. Cooling Radiator Fan Control Unit Relay 1J0919506K - Fits: VW Audi Seat Skoda. New Genuine Audi Fuel Pump Relay 614, part number 8E0951253 -superseded to. VW A4 B6/7. A4 B6/7 Quattro. 2003-2014 Audi. Fit vehicles below Sold with a 12 month warranty. New Genuine Audi Fuel Pump Relay 644, 4H0951253 which replaces part number 614, 8E0951253. VW A4 B6/7. A4 B6/7 Quattro. 2003-2014 Audi. Fit vehicles below Sold with a 12 month warranty. VW Passat B5 Fuel Pump Relay Petrol 372. Generic Notes on this Part: Has 372 stamped on top and is far right on lower relay rail. The New and Used VW Parts Specialist for all VW models worldwide. VW Part Number: 4D0 951 253. VW Golf MK4 Passat B5 Jetta, Golf MK5 (1994 - 2006). Audi A2 A3 A4 A6 A8 TT. etc (1994 - 2006). Part Number:5KG006568-05. GenuineAudi Part. Good Working Order. Part Number:UH2 72WA403. VW Caddy Golf Bora Passat Bettle. (Almost all models) (1984 - 2013). GenuineAudi / VW Part. Audi 100 200 A3 A4 A6 A8 TT Quattro.etc (Almost all models) (1984 - 2013). Good Working Order. PART NUMBER IS 4A0 919 471. Part Number: 899587. Genuine 4 PIN No. 202 Shiny Blue RelayGlow Plug Relay. VW Caddy Golf Bora Passat Bettle. (Almost all models) (1984 - 2013). GenuineAudi / VW Part. Audi 100 200 A3 A4 A6 A8 TT Quattro.etc (Almost all models) (1984 - 2013). Used 373 Relay, Audi part number 8D0 951 253 A. Removed from an Audi A6 Avant C5 (2003). Please see my other Audi A6 C5 items for sale. 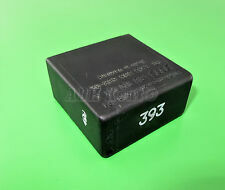 FOR SALE IS A USED BUT GOOD USEABLE CONDITION RELAY 387 HEADLIGHT BRAKE WARNING RELAY TO FIT VARIOUS VW AND AUDI MODELS. PART NUMBER IS 4B0 919 471. 01728 685027. Used 202 Relay, Audi part number 8A0 951 253. Removed from an Audi A6 Avant C5 (2003). Please see my other Audi A6 C5 items for sale. Part number 8a0 951 253. Volkswagen Audi Seat Skoda glow plug relay. A picture is 1000 words. You are buying USED CAR PARTS, THE PARTS ARE NOT NEW. THE AGE OF CAR WAS A 1998 SHOULD FIT 1997 TO 2000. PART NUMBER IS 8L0 941 822 A. The part number is 141951253B- this has 4 pins. Audi A6 Avant 4.2 Quattro (C5) Relay - 8D0951253A. Original Audi part from a 1999/T A6 Avant 4.2 Quattro (C5) in Light Silver (LY7W). Interior code N1H / BP. PART NUMBER. : 443971883B. IN GOOD USED CONDITION. The New and Used VW Parts Specialist for all VW models worldwide. 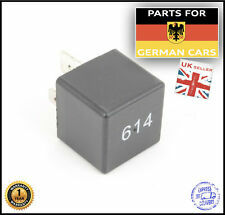 VW Part Number: 7M0 951 253 A. Donor Car: 2000 Audi TT 8N Coupe 1781cc Quattro Sport. It may fit others. Part number 1j0 906 383 C. Volkswagen Audi Seat Skoda 1.8t fuel pump relay. A picture is 1000 words. You are buying USED CAR PARTS, THE PARTS ARE NOT NEW. REMOVED FROM AUDI A2 2003 1.4 PETROL AUA, 5 DOOR 5 MANUAL FDM, BLACK 88736 MILES. 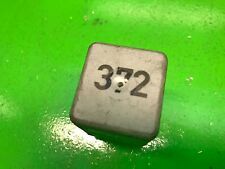 Used 393 Relay, Audi part number 5KG 006 568-05. Removed from an Audi A6 Avant C5 (2003). Please see my other Audi A6 C5 items for sale. AUDI A2 A8 A6 C6 4F 04-11 GLOW PLUG FUEL PUMP 614 4 PIN WHITE RELAY 8E0951253. Condition is Used. Dispatched with Other Courier (3 to 5 days). PART NUMBER: 038907281B. ENGINE: 2.0 DIESEL 140 BHP CODE:BRE. MODEL: A6 C6 2.0 TDI. Do not relay on it. MAKE: AUDI. Cash only if collected in person! Item will be sold exactly as shown in the pictures (you get what you see). 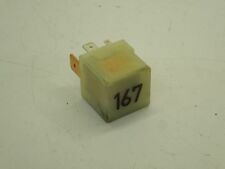 AUDI TT MK1 1.8T QUATTRO 1998-2006 HEADLIGHT RELAY 4B0919471A This item will have some age related marks but is in good functional condition. Most items are posted next day. If you have any further questions please ask. Please take a look at my other listings I have many more TT parts for sale. Part number: 7M0951253C. We are breaking a 2008 Audi A4 Avant B8 / 8K (Pre-Facelift) 2.0 TDi Diesel 143 BHP. We are breaking a 2009 Audi A4 B8 / 8K (Pre-Facelift) 2.0 TDi Diesel 143 BHP. We are breaking a 2009 Audi A3 Se Sportback 8P MK2 (Facelift) 1.4 Tfsi Petrol 123 BHP. DEPENDING ON THE SIZE AND WEIGHT. I reserve the right to send the parts that are not always in the picture. Will ask for proof/invoice of work done by specialist in cases of claims. Avoiding later confusion and DISPUTES. VW-Audi OEM Part Number;443-955-532A (443955532A). Genuine VAG - Audi. No 236 Relay. 1995-1997 A6/S6. 1995-1997 A4/S4. Replaces Relay 8K0951253. The New and Used Audi Parts Specialist for all Audi models worldwide. Audi Part Number: 4H0 951 253 A. It may fit others. Donor Car Colour: Bodywork is N/A. Interior trim is N/A. PART NUMBER. : 443906373. NUMBER OF PINS AND COLOR MAY VARY. IN GOOD USED CONDITION. GenuineAudi / VW Part. 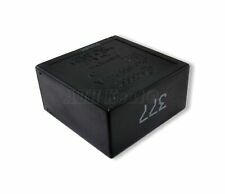 LK Part Number:05020500. Good Working Order. Condition:Used and Good Working Order. VW-Audi OEM Part Number 443 907 413 ( 443907413). 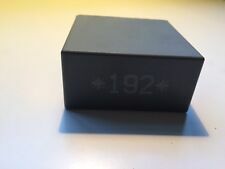 No 291 Relay. Genuine VAG - Audi. 314-Audi VW Brown-389 Control Wiper/ Washing Relay Module 4B0955531C UH2 72WA403. Condition is Used. Dispatched with Royal Mail 1st Class. The New and Used VW Parts Specialist for all VW models worldwide. 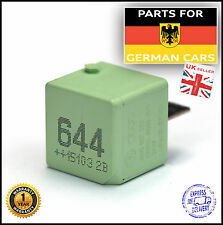 VW Part Number: 431 951 253 G. Generic Notes on this Part: Relay 381. It may fit others. PART NUMBER. : 4A0971883. IN GOOD USED CONDITION. AUDI TT MK1 1.8T QUATTRO 1998-2006 WIPER AND HEADLIGHT WASHER RELAY 8N0955531B. This item will have some age related marks but is in good functional condition. Most items are posted next day. If you have any further questions please ask. Please take a look at my other listings I have many more TT parts for sale. FOR SALE IS A USED BUT GOOD USABLE CONDITION GENUINE RELAY NUMBER 262 FOR IDLE STABILISATION. PART NUMBER. : 443907437. NUMBER OF PINS AND COLOR MAY VARY. IN GOOD USED CONDITION. 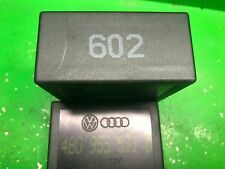 Used 370 Relay, Audi part number 8D0 951 253. Removed from an Audi A6 Avant C5 (2003). Please see my other Audi A6 C5 items for sale.